The 2018 Atomic Backland FR 109 Skis were redesigned last year from the Automatic 109 and with the addition of HRZN the skis now have even better flotation and making these skis a fan favorite right away. At a great price it's one of the best skis for the money in the 109mm range. With the addition of Light Woodcore the Backland skis are light, lively and stable; excellent for freeride/powder skiing and is also a great ski for skinning. The Backland FR 109 does come with Powder Rocker like the 117, but it is not as drastic with a nice balanced blend of 25% Tip Rocker/65% Camber/10% Tail Rocker. There is a layer of Carbon in the Backland FR 109 Ski as well. One of our favorite one ski quiver skis here at Al's Ski Barn. Don't be afraid to ski this ski longer. If you would like to add poles and/or bindings to this ski at a substantial discount, please continue below. Mounting service is available at no charge. Alternatively, just click the button on the right to the add this ski to your cart as is. Package Options - Save a Bundle with Poles, Bindings, and Free Mounting! Bindings Choose your binding. We will install the correct Wide Brake. Optional Service: Binding Mounting For you convenience, we can mount the bindings in this package for you. We will need your height and weight below only if you are buying boots to go with these skis. By selecting this optional service you are indicating that you have read and agree with our binding mounting terms and conditions. Bindings will still need to have final adjustment done with your boots by a certified ski technician for your safety. Please be sure to select your boot size before check out. No, Do Not Mount My Bindings Yes, Please Mount My Bindings. Skier Boot Size We need to know the boot size of the person who will be using this package if you have selected the optional binding mounting service. It is important that this be accurate. All sizes listed in mondopoints. You may wish to consult our mondopoint conversion chart. Skier Weight We need to know the weight of the person who will be using this package if you have selected the optional binding mounting service. It is important to your safety that this be accurate. Skier Height We need to know the height of the person who will be using this package if you have selected the optional binding mounting service. It is important to your safety that this be accurate. Skier Age We need to know the age of the person who will be using this package if you have selected the optional binding mounting service. It is important to your safety that this be accurate. Skier Type We need to know the Skier Type of the person who will be using this package if you have selected the optional binding mounting service. It is important to your safety that this be accurate. If you're not sure of your Skier Type, please see our Skier Type Identification Guide. View other products from the "Al's Discount Ski Deals/Packages" category. View other products made by Atomic. "I could get skis faster (and cheaper) from Al's than my local high-end ski shop. Thanks again!" "The service was incredibly fast and better than I expected ... Thank you so much!" "Every detail was handled very well ... 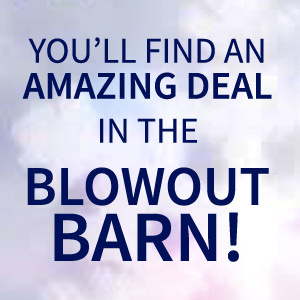 I couldn't be happier with Al's Ski Barn!"